If you're waiting for the 'Full Experience', don't. Hitman is best served in distinct courses. 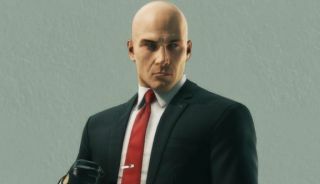 Last month, IO Interactive released the fourth of Hitman's seven planned episodes. I've enjoyed them all. Hitman, based on what I've played so far, is a proper successor to Blood Money, and already one of my favourite games of the year. But some are holding off until the release of the 'Full Experience'—waiting to see if this episodic release plan culminates in a quality campaign. My advice: don't. Now is the time to play Hitman. "Huge, open and beautiful ... a promising sign for Hitman's future." "Repetition of style and presentation is taking the shine off." I understand the urge to wait. Releasing a traditional campaign in episodic chunks feels strange, and creates an obvious degree of risk. But that risk is mitigated because, ultimately, Hitman is a success at the systemic level. Architecture, layouts and environment-specific assassinations are important, but 47's core toolset is firmly in place and does much of the heavy lifting. That's a big piece of the puzzle, and means that Hitman would likely survive a bad episode. More importantly, Hitman isn't a traditional campaign. Attempting to treat it as such is a mistake. Everything about Hitman feels geared towards standalone, repeatable runs. You launch the game, pick a scenario, and have your Hitman experience. That finished, you embark upon another, separate experience. Maybe it's a different level. Maybe it's the same level, played in a different way or with a new target. Even though there's a narrative thread running through each subsequent mission, Hitman isn't designed to be played sequentially. Is Hitman easier than Blood Money? By default, yes. UI pop-ups detailing Opportunities can easily put you in proximity of a target. Fortunately, they can be disabled, along with 'Instinct' mode and the minimap. Even then, one of the big differences between this and Blood Money is the ability to easily take down any NPC via a sleeper hold. It can make things seem a little easy. Ultimately I'd love to see more difficulty options, switching off not just UI elements, but also some of 47's more overpowered moves. Arguably, that's just my preference—I'll admit, the episodic structure suits how I play the game. But it's also supported by the layout of the menus and interface. Of the tabs across the top of Hitman's main menu, Destination comes before Story. And even if you do launch a mission from the Story tab, you're kicked back to the main menu after you've finished. Hitman doesn't instantly transition into the next mission, because that's not how it's been designed. That's why I think now is as good a time as any to play Hitman. Not just because it doesn't attempt to offer a storied campaign, but because playing it as such would likely hurt the experience. Due to certain shortcuts IO has taken through development, playing sequentially is going to exacerbate certain repetitious elements that are already an issue. The same voices reappear in each location, as do the same music cues. At least when viewed as separate but linked entities, the immersion isn't completely destroyed. Certain tropes are emerging in IO's level design, too (no doubt partially thanks to the prevalence of mansion-sized buildings). Again, the impact of this is lessened if missions are viewed in isolation. Playing one after another, it risks feeling stale. The problems are mitigated by the current four levels all being at least very good, and one–Sapienza—being exceptional. They're bigger and arguably more intricate than anything you'll find in Blood Money, and, as such, deserve revisiting. Each target can be brought down in multiple unique ways, in addition to recurring classics such as sniper fire, poison or being drowned in a toilet. The episodic release schedule makes each of these releases feel like an event, full of interesting new things to try. The one-off, time-limited Elusive Targets are an interesting experiment, but one that, ultimately, are one of nu-Hitman's weaker aspects. While they're a cool, tense new way of experiencing Hitman's action, only a few of the targets have been any good. Most follow a standard pattern: a guy with one or two guards wandering around a set route of the map. Escalations are much better, as they force you to reconsider how you play each time. The Elusive Targets have, at least, been getting more interesting of late, but we're still some way off them being an essential part of the game. It's working for me: I've spent 60 hours with Hitman, and could easily see myself playing 60 more. And that's why I'm enjoying the episodic release. I suspect that when the 'Full Experience' is out, it'll feel overwhelming. Between the missions, the Elusive targets and the brilliant new Escalations feature, there's already more stuff in Hitman than I will ever be able to play. The irony of waiting for everything is that all of it will feel less important—much in the way that, as much as I love Blood Money, I've not played it anywhere near as much as I know I should (or could) have. Here, though, I've had time to pick apart each release—even the 'bonus' missions, which remix Sapienza and Marrakesh into small, fun little challenges. These two side-missions are great, and provide a fresh look at a familiar space. They also offer a more compact, tighter challenge: much closer to Blood Money in size and execution. They risk being lost as even more squares are added to Hitman's already bulging Destination menus. An episodic structure suits Hitman, and following along with it has been one of my gaming highlights of the year. And while it feels wrong to recommend people buy something before it's finished, over halfway in, Hitman has shown no signs of disappointing. If you've been waiting, I say now's the time to give it a go.